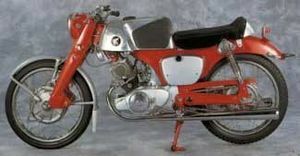 The Honda Hawk 250 CB72 was sold from 1959 to 1966. Three colors were available: Blue with Silver, Scarlet Red with Silver, and Black with Silver. 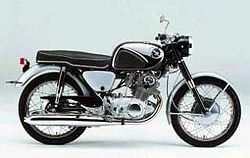 The fuel tank, fork covers, headlight shell, and frame were painted the basic color. The fenders and side covers were silver. The tank panel was chrome with rubber knee pads. 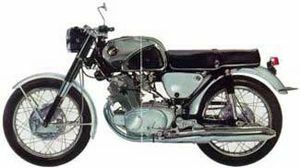 In the first few years, the handlebars were flat with no rise in them. Later there was a slight rise. 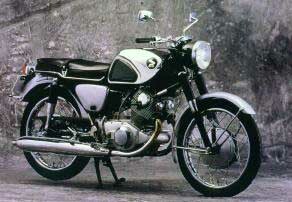 The engine was a 247cc 4-stroke OHC parallel twin with two carburetors. The transmission was a 4-speed. 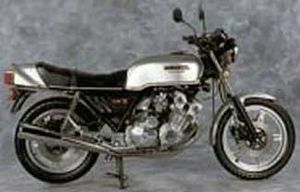 The serial number began CB72-100001. This page was last edited on 9 February 2011, at 02:02.